Sustainability; one word comprising 14 letters and one significant meaning. A definition we've all grown to familiarise ourselves with. Whether it be opting for sustainable components to achieve that sought-after BREEAM 'Excellent' accreditation, frantically chasing WELL and LEED credits or even at home reaching for that Bag for Life prior to your weekly dash around the supermarket; in a way, sustainability has subconsciously attached itself to many of our lives – regardless of your professional status. That said, with such strong recognition, how has sustainability managed to trickle through the fingers of many within the construction realm? Does it stem from financial restraints? Time pressures? Or is it construction chain matters that have placed sustainability on the backburner? One company that set out to answer these questions is Knauf AMF. With sustainability at the heart of the company, the EU-leading modular ceiling specialist assembled a number of sustainability experts during the first week of October for a roundtable event to address these issues and invited FC&A along to deliver the discussion to the rest of the industry. The organic beauty of natural stone is one that captivates all; whether you’re an architect­­, specifier, procurer or even a homeowner. Perhaps it’s the attraction of stone’s inherent characteristics that is so pleasing to the human eye; from the sheer elegance of sandstone to the endurance of pure limestone and the strength of granite. However, hidden deep in the roots of the UK’s favourite aesthetically-pleasing hard landscaping materials a distressing story is, all too often, concealed; a narrative that’s enshrouded in child labour, underpaid and underprivileged workers and a society that’s stripped bare of fundamental human rights. Amongst the few advocates spearheading the challenges faced by modern slavery in the hard landscaping realm, proudly stands Marshalls, the UK’s leading hard landscaping company whose dedication to ethical sourcing has gone above and beyond many of its peers within the natural stone sector. As part of its commitment to responsible sourcing, the morally-considerate supplier sponsored an insightful roundtable during last month’s Clerkenwell Design Week at the Marshalls Design Space in the heart of London’s design quarter. 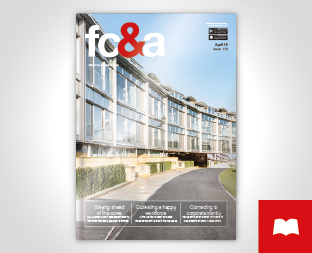 In this article, FC&A uncovers the findings.